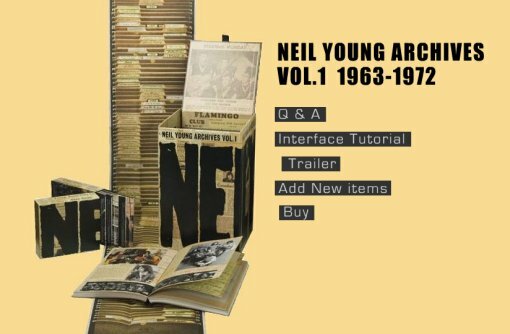 One lucky first place winner will win a copy of Neil Young‘s massive 10 disc box set on DVD and three runner-ups will win a copy of Neil’s brand new live album Dreamin’ Man: Live ’92. Dreamin’ Man features early stage live material from the album that sparked the Neil Young renaissance of the 90’s, Harvest Moon. For your chance to win, fill out this contest entry form after the jump. Contest ends on December 24, 2009, 1 entry per household (IP checking is enforced), US entrants only. The album is a complete live performance of Young’s album Harvest Moon drawn from various solo acoustic shows he performed in 1992 before the actual release of the Harvest Moon studio recording, which makes this performance even more unique. Dreamin’ Man track list and Archives Vol. 1 widget after the jump. The vinyl pressing of Dreamin’ Man will be released on January 12, 2010 on Reprise Records. I know I can not enter this; I just won something from bumpershine, but curious as to what your favorite album of Neil Young’s is? I can not decide? Freedom (1989), Rust Never Sleeps, or Ragged Glory (1990)with Crazy Horse? Favorite song? My My, Hey Hey and Rockin’in the Free World. Especially the version with Eddie Vedder, and many, many more…Outstanding artist, Mr. Young!